Cleveland, OH---Rock and Roll Hall of Fame inducteesGLADYS KNIGHT and THE O’JAY’S will be performing together Friday, October 9th at Playhouse Square’s State Theatre. The legendary pop/R&B artists’ concert will be full headlining performances, with one show onlyat 8 pm. “Another Journey” enjoyed success from the hit “I Who Have Nothing” as well as the uptempo track “Settle,” produced by Randy Jackson, with whom she previously collaborated with on her Grammy-winning album, “At Last.” Knight also enjoyed the success of her song “You and I Ain’t Nothin’ No More” which appeared over the end credits of the critically acclaimed Lee Daniels film THE BUTLER. Cleveland’s own O'Jays are touring history, a connection to an era and a sound that formed the soundtrack for the lives of several generations. 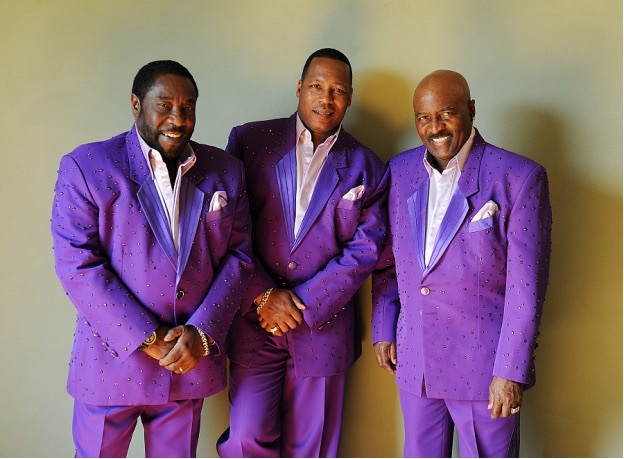 The O’Jays are still hitting the road with the same electrifying energy they’ve had for over 50 years. Walter Williams and Eddie Levert first met when they were the ages of 6 and 7 respectively. As teenagers in Canton, Ohio, they formed a band originally consisting of Eddie Levert, Walter Williams, William Powell, Bobby Massey and Bill Isles. In 1963, the band took the name "The O'Jays" in tribute to a Cleveland radio disc jockey, and over the years several members have changed, but the core, original lead singers Eddie Levert and Walter Williams, continue to front the group. In 1972, Gamble & Huff, a team of producers and songwriters with whom the O'Jays had been working for several years, signed the group to their Philadelphia International label. With this magic formula, often called The Sound of Philadelphia, The O’Jays scored the first #1 and million seller, “Backstabbers.” Subsequently, they succeeded with various chart topping pop and R&B singles. Including “Love Train”, “Put Your Hands Together”, “For The Love of Money”, “I Love Music”, “Darlin’ Darlin’ Baby (Sweet, Tender, Love)”, “Livin’ For The Weekend” and! “Use Ta Be My Girl.” This success propelled The O’Jays to be the first black vocal group to perform in arenas throughout America during the 70s and 80s.